After my weeks holiday (endurance test) in Spain targeting the mighty river Serge cats I was really fired up to get back into my own personal fishing and with the weather so mild everything looked good, well that was until I went down with a throat infection. Unfortunately the best part of a week was lost and when I did manage to venture out it was only for a few hours around the dusk period, however I did manage one of my goals for the winter which was to catch my first barbel from the river Thames. A couple of sessions to Godalming’s Enton produced a few crucians but trying to get one bigger than 3lb 8oz from the venue this year now looks unlikely. Checking my diary inputs this month has seen myself putting just fourteen sessions in split between guiding (5), personal sessions (9) and features (0), yet my lack of time on the banks has allowed me to get plenty of written articles completed mainly for Dutch and German magazines. Four days of the fourteen were spent in Spain which is the reason why the hours bankside is up their with most months, three sessions have been mentioned above leaving two, one off which was again on the Thames where just one bream came, the other though was spent nine miles out of Portsmouth on board Sea Juicer. This session was an invite by a customer and although I was looking forward to the trip did feel somewhat light headed as we sped out of Portsmouth Harbour. Fortunately the tablets did the trick and I slowly relaxed as the day progressed, yet the weather was appalling and with rain all day it did take a bit of the fun away as well as restricting us at times to watching the rod tips from the shelter of the cabin. Using Pennel rigs baited with squid and cuttlefish we were looking for more quality than quantity and that’s exactly what we got with cod, conger and rays showing along with the inevitable dogfish and over enthusiastic pouting and whiting. Tony was top rod with two cod, the best 12lb as well as a good thornback and a couple of conger. I only managed five fish but one was my first ever cod weighing 7lb 4oz along with two rays, a pouting and a whiting. I even managed to get a Nash 3.5lb T/C Dwarf out once the tide eased which performed perfectly with 12oz of lead attached! After a very stressful week due to some home improvement teething problems it was exactly what I needed and am looking forward to another go, well that’s if I’m asked? Four of the five guiding sessions have been at Old Bury Hill targeting zander and with the weather being so changeable has seen the zander going on a feeding frenzy one day to being extremely frustrating the next. Everyone has witnessed this long gone are the days of hooking eight out of ten runs, in fact if you have a fifty percent strike rate you are doing well. The carp have been feeding on the sardine sections again as well as the bream so these have been giving customers plenty of variation along with zander to a best of 8lb 10oz. With this unseasonably warm weather continuing I’m confident that the zander will continue to feed for a few more weeks, in fact I think the fishing will improve, however once the frosts arrive sport will become very unpredictable so if you fancy a go you better call me now! The other guiding day was on the Loddon for barbel and with some colour and flow it didn’t disappoint as my client found himself bent into a barbel in just the second swim. With a friend absolutely smashing the Thames to bits for barbel I’m hoping that November will be kinder and the problems of the last few weeks are far behind me allowing myself to get amongst them myself, let’s see. 1 – It might only be small one but it’s a first! 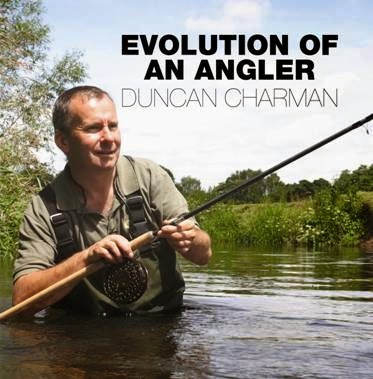 2 – The crucian fishing has been great again this autumn. 3 – Rod soon found himself bent into a barbel. 4 – Tony with a good thornback. 5 – My first ever cod. 6 - Tony with a cracking cod. 7 -Young Tom with a personal best zander from Old Bury Hill. 8 - Harry with a conger. 9 - Scott with a sardine muncher!